All of this is to say that my culinary superpower is pesto. Not only is it fast, fresh, and flavorful, but it feels fancy even though it takes approximately five minutes to throw together. Magic, I tell you. Pure magic. 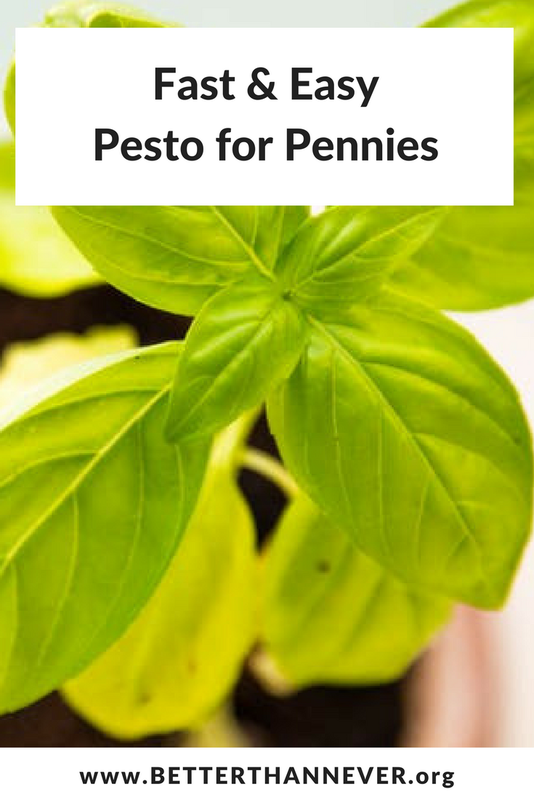 The traditional way to make pesto is with basil, pine nuts, and Parmesan cheese, but this can get pricey fast. I don't know if you've purchased pine nuts lately (I sure haven't) but they're about $10 a pound. If you eat pesto every week like we do, pine nuts will cut into your budget big time. The good news is that pine nuts aren't required for pesto - you can use any nut you want. I've experimented with almonds, sesame seeds, sunflower seeds, even peanuts (though that one was kind of weird, I'll admit). My favorite nuts for pesto, though, are walnuts. They're a good source of healthy fats and protein and you get a lot of bang for your buck, which my weekly meal plan appreciates. 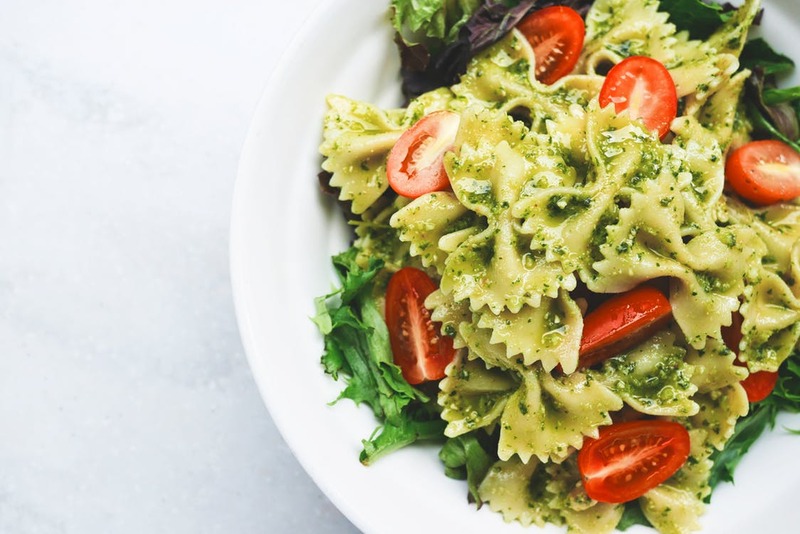 The other reason pesto is so fast, cheap, and easy? Our garden is about 25% basil. 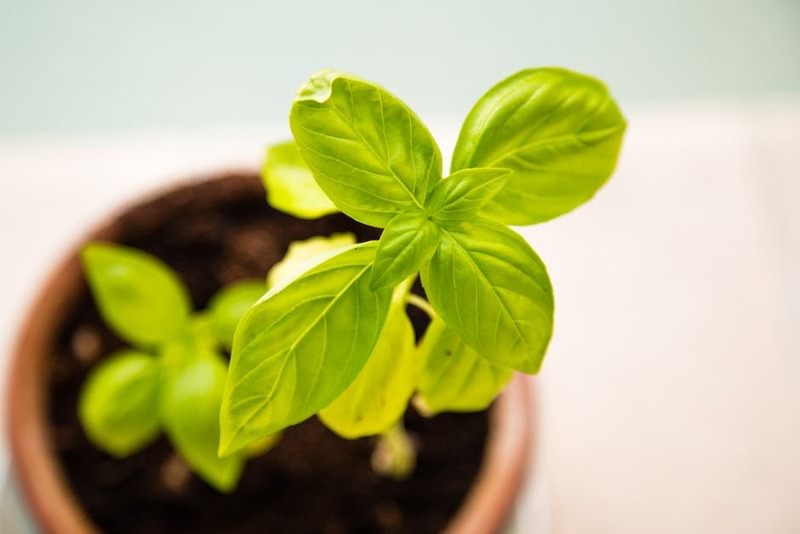 I always plant too much, and I never regret it - basil is easy to grow, doesn't require a ton of sunlight, and produces all summer long. Even when the tomatoes languish or the chickens tear up the broccoli, my basil chugs along, helping me to feel less like a gardening failure. At least once a week I walk out my back door with the colander, fill it with loosely packed basil, and presto - my pesto is already half done. And lest you think we're just eating pesto straight from the food processor, our favorite ways to consume this versatile spread is on pasta (throw in some roasted cherry tomatoes and rock those bow ties) and pizza (sub pesto for red sauce and layer on every leftover vegetable in your refrigerator - this is clearly an end-of-the-week tradition). Every bite is a tiny taste of summer. Here's the "recipe" I use when making pesto, more or less. Amounts are estimates, since I usually eyeball it. Pro tip: always err on the side of too much. Worst case scenario: your pesto is way too garlicky, which is actually a blessing in disguise.